Today nearly two thirds of humanity remains offline, that is more than 4 billion people. The internet is a powerful enabler of social and economic progress and everyone deserves to be connected. It is the responsibility of the technology industry to make this happen. When trying to imagine how this could be achieved, it is tempting to imagine a massive infrastructure project building mobile phone towers in the desert, stringing cables across continents, and blasting satellites into orbit to beam internet access into the most remote regions of the world. Certainly, some of these things need to be done. A lot of great innovators and companies are working to solve the infrastructure challenges in communities that lack even the basic foundations for connectivity, and these projects can bring real benefits to people in very remote areas. But research carried out on behalf of internet.org, a global partnership launched by Facebook and other technology companies to make affordable internet access available to all, has made a surprising discovery. In most communities, the infrastructure needed to access the internet already exists. The majority of the world's unconnected peoples live in areas already covered by 3G signals. Out of the 4 billion people without internet access, only 300 million live in areas where the nearest mobile or fibre infrastructure is more than 100km away. For most, there are more basic barriers to getting online -- affordability and awareness. For many, even the most basic data plans are too expensive. In developed countries, most people spend about 1 or 2 per cent of their incomes on mobile data; in developing countries, it is closer to 25 per cent. For others, it is a question of awareness. When people are asked if they want access to data or the internet, many say no because they have no idea what a data plan is or why they would want it. But when asked if they want access to news, weather or specific online services, people are eager to receive them. These findings guide our approach with internet.org. For us, this challenge is about more than building new infrastructure. We also need to make data more affordable and raise awareness of the benefits of access. Our strategy for doing both relies on making basic internet services free or extremely affordable, by partnering with mobile operators around the world. We believe that if we can give people some access to basic internet services -- such as messaging, search engines, social networks, educational content, local information and services -- we can boost demand for the internet. This will ultimately lead to people discovering more content and using more data. In turn, as people become more advanced data consumers, a model emerges for carriers allowing them to continue making profits while also offering basic services for free. Access becomes sustainable for consumers and operators. We have carried out experiments to verify our hypothesis and the early results have been very promising. In the Philippines, we worked with mobile operator Globe to offer free data access to Facebook and Messenger, our standalone messaging app, while making it easier for people to register for a data plan or get a loan to access data. Based on the initial campaign, Globe doubled the number of people using mobile data on its network with nearly 25 per cent new customers. In Paraguay, a partnership with Tigo led to a 50 per cent growth in new connections when free data packages were provided. Clearly, there is a big opportunity to develop mutually beneficial solutions for access that allow the telecommunications industry to continue operating sustainably, while getting many more people on the internet. We intend to continue working through internet.org to deepen our relationships with mobile operators and encourage them to develop more innovative access projects. Another way to make access affordable is to make our apps and services more data efficient. For people who measure out internet use by the megabyte, many mobile apps developed in the United States and Europe can be too expensive to use. We are working with our partners to make apps smaller in size and more data-efficient during use. A recent 'hackathon' with Ericsson in California helped developers optimize their products for network conditions in developing countries. We are also opening an Efficiency Testing Lab at our headquarters later this year to offer the same help to more companies. 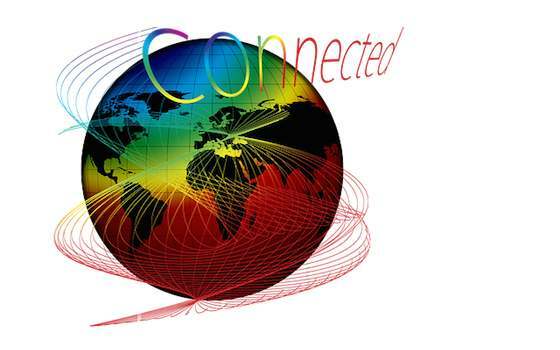 Connectivity should be at the heart of the internet governance debate. This should not be a sterile discussion about structures or, worse still, a process that leads to the creation of unnecessary geographical or technical barriers. Its goal should instead be to extend the benefits of the internet as a single, open, free network of networks to everyone everywhere. Internet & Social Media: "Getting the Poorest 4 Billion Online"